Al Hartmann | The Salt Lake Tribune Student climbs aboard UTA bus at President's Circle stop at the University of Utah Monday August 13 2012. After an elaborate effort to provide political cover, Salt Lake County now will have the sales tax increase for transportation that its voters turned down three years ago. It started with an accommodating bill in the Utah Legislature’s 2018 session. Salt Lake County voters had rejected the same tax increase in 2015, so legislators passed it instead as a county option, allowing counties to raise the tax without another public vote. That was followed by some sly passiveness by the Salt Lake County Council. Instead of voting the tax increase up or down, the council passed the buck. They set up an arrangement in which the individual cities in the county would need to approve it. If cities representing two-thirds of the county population signed on, the tax increase would be approved. Then it was just a matter of getting enough city councils — all of whom get the pothole and gridlock calls from constituents — to give the thumbs up to what is a county tax. The cities voted on it, but it still went down this week as the county raising taxes. In the murky world of political accountability, this is the perfect dodge. Taxes have gone up, and no government entity holds the full burden of responsibility. That’s not to say the money isn’t needed. The potholes and gridlock are real. But the unwillingness to go back to voters who refused once before only builds more cynicism about necessary government expenditures. Of course, the voters’ reluctance in 2015 had nothing to do with potholes and everything to do with the Utah Transit Authority, whose financial credibility was compromised by high executive pay, scandal and $2 billion in debt. UTA (yes, it will remain UTA) is on the verge of its new world order where accountability to the governor is direct. It’s too soon to tell if that has bought them the public’s trust, but starting next year they will get the money anyway – about $23 million annually in Salt Lake County (40 percent of the $58 million the tax increase generates). It’s not enough to launch any rail lines or build infrastructure, and that’s a good thing at this point. 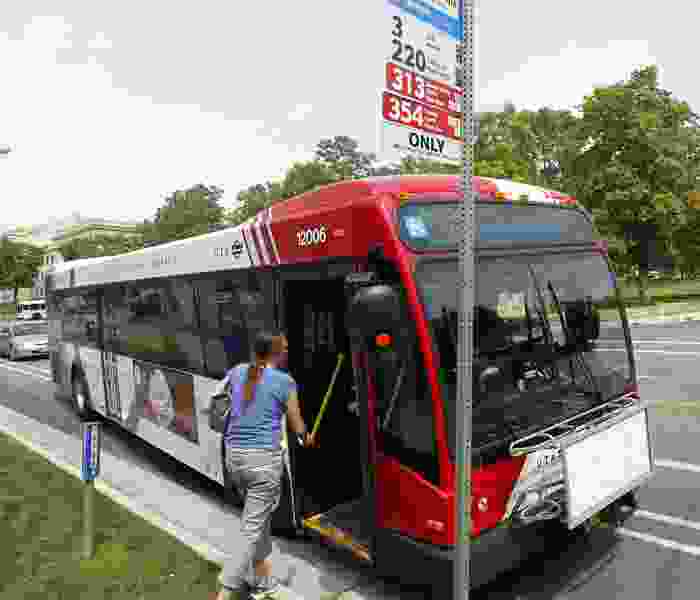 UTA is pledging to spend it on increasing bus service, something that is needed — both more routes and later operating times. So here’s a challenge, new UTA: Add riders. Despite our fast-growing population, UTA hasn’t grown its ridership. Gas prices have now gone up, so that should be helping. If UTA spends the $23 million without getting a lot more people on the bus, those 2015 voters just got punked.